The David Payne-trained Tarka has appreciated 1600 metres at Warwick Farm to win the 2yo race. 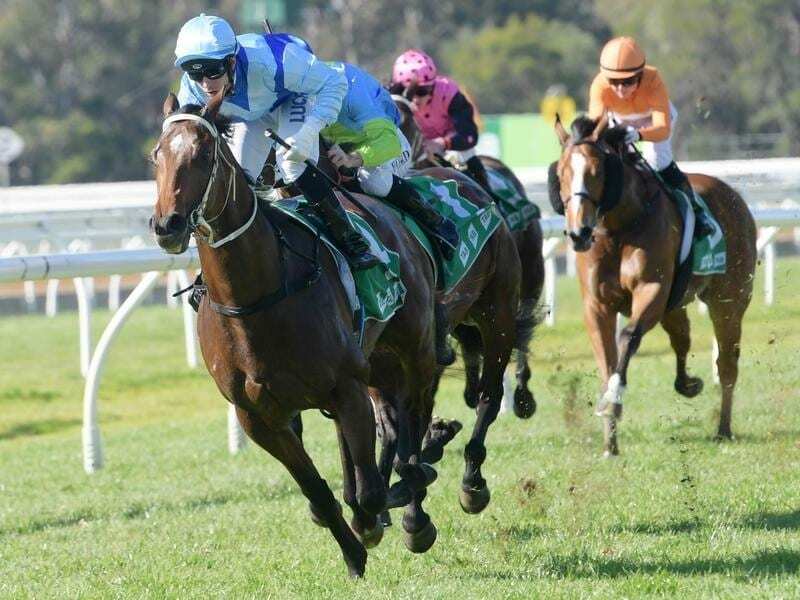 Trainer David Payne has continued his success with late season two-year-olds with Tarka winning at Warwick Farm. The colt appreciated the 1600 metres of Wednesday’s juvenile race to beat Salsa Man ($8.50) by 1-3/4 lengths and defy a betting drift from $2.90 to $5.50. Favourite Task And Purpose ($2.10) finished another half head third. Tarka, whose mother Gayika is a full sister to South African champion Igugu, could now be set for major spring features along with recent winners Toulouse and Silent Explorer. “He will get up to 2000 metres on his pedigree,” Payne said. Payne won last year’s Spring Champion Stakes (2000m) with Ace High who went on to win the Victoria Derby. He has cut his team at Rosehill back to 25, mostly younger horses. “Ace High and All Too Soon are really the only four-year-olds we will have in the new season,” he said. Payne hopes to keep the momentum going with another two-year-old, Rock Zone, who runs over 1400m at Rosehill on Saturday a week after a midfield finish in a 1200m-race at Randwick. Like Tarka, Rock Zone is by All Too Hard, and is out of Rock Me Baby who Payne trained to win five races including the 2009 Light Fingers Stakes (1200m). “He may not get up to the staying distances. He is more of a 1400 to 1600-metre horse,” Payne said. Tarka was ridden by Brenton Avdulla who has a 12-win lead over Blake Shinn in the Sydney premiership after the latter won on the Bjorn Baker-trained Taygeta and Sweet Scandal for Chris Waller. Fellow jockey James McDonald will spend more than a week on the sidelines after being suspended for careless riding in Wednesday’s two-year-old race. McDonald will be out after Saturday’s Rosehill meeting and can return on July 25.